While Las Vegas may be an obvious choice for a vacation spot, the city offers much more than just gambling and buffets, and is well worth a fresh look at its constantly changing offerings for accommodations, libations, recreation and relaxation. The self-proclaimed Entertainment Capital of the World has a thriving Downtown Arts District, several museums, dozens of parks and a world-class center for the performing arts. Its iconic casino-hotels offer extensive shopping, dining, pools and spas, live shows and nightlife. 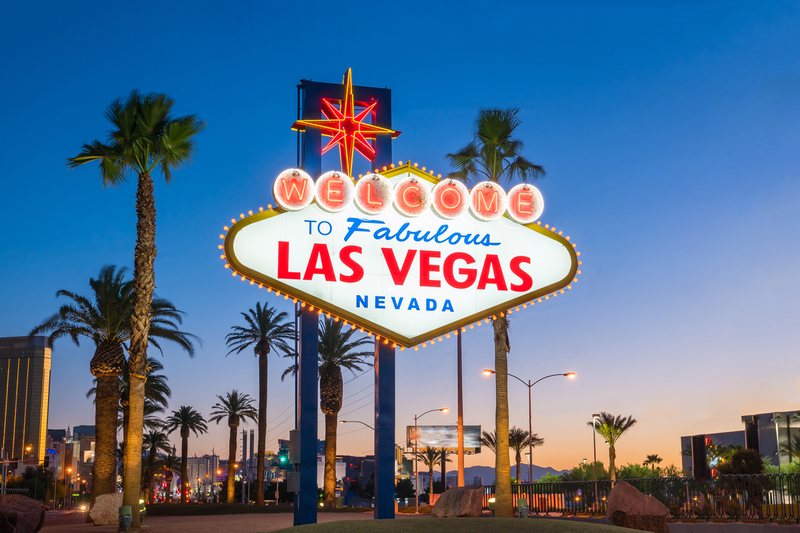 Whether you're trying to get away ASAP or you're looking to plan your trip around the cheapest fares, take a look at these forthcoming flights between San Jose and Las Vegas, which we pulled from travel site Skyscanner. We've also included popular hotels, restaurants and attractions in Las Vegas to get you started on planning your ideal getaway. The cheapest flights between San Jose and Las Vegas are if you leave on January 27 and return from Nevada on January 31. Frontier Airlines currently has roundtrip tickets for $56. There are also deals to be had in February. If you fly out of San Jose on February 26 and return from Las Vegas on February 28, Frontier Airlines can get you there and back for $62 roundtrip. To plan your stay, here are some of Las Vegas' top-rated hotels, according to Skyscanner, that we selected based on price, proximity to things to do and customer satisfaction. If you're looking to splurge on top quality, consider The Bellagio Las Vegas. The hotel has a 4.5-star rating on Skyscanner, and rooms are currently available for $149. Another option is The Venetian Resort Hotel Casino. The 4.3-star hotel has rooms for $149/night. Don't miss Las Vegas' food scene, with plenty of popular spots to get your fill of local cuisine. Here are a couple of the top-rated eateries from Skyscanner's listings. One popular dining destination is Eat, with five stars from eight reviews. "I had the pleasure of meeting Natalie Young, owner of the downtown Las Vegas brunch joint Eat when I came in to check out the hot spot that has been showered with accolades and rave reviews, including being featured on Anthony Bourdain's 'Parts Unknown,' " wrote reviewer Gabrielle. "Ms. Young's secret to her success appears to be that she keeps things simple with fresh, high-quality ingredients prepared from scratch." If you're looking for a solid place to grab some coffee, plan to visit PublicUs. "A hipster coffee shop in Downtown Las Vegas with free parking, clean restroom and live plants in a relaxing atmosphere," wrote Nadine. To round out your trip, Las Vegas offers plenty of popular attractions worth visiting. Here are some top recommendations, based on Skyscanner's descriptions and reviews. First up is the Las Vegas Strip. Four miles of fun, decadence, fantastic shopping, dining and gambling is what lures people from around the world back to Vegas again and again. From the Mandalay Bay in the south to the Stratosphere in the north, "The Strip" is where the action is. Next up, there's Fountains at Bellagio. Fountains shoot 250 feet into the air to the accompaniment of a symphony every 30 minutes. That is, until 7 p.m. After that, the spectacular display happens every 15 minutes. This is Las Vegas, after all. Lastly, consider checking out The Fremont Street Experience. The Fremont Street Experience is an outdoor pedestrian mall (free entry). Its principle attraction is a massive barrel vault canopy screen that hangs over four of the mall's five blocks. This canopy is famous for its wild light shows that happen every night.